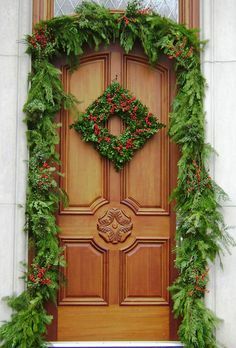 Instead of hanging one large wreath, try stacking two smaller wreaths on your door. 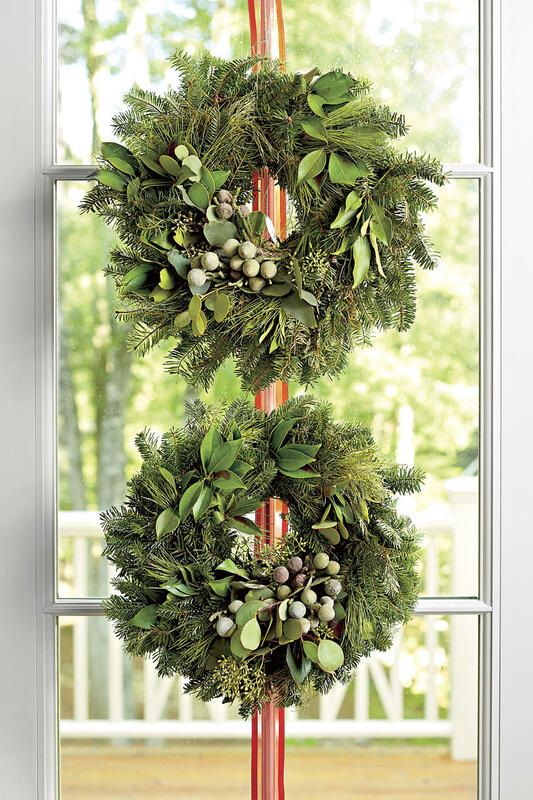 Hang the two wreaths from fishing line. Cover the line with decorative ribbon that matches the rest of the Christmas décor. We like to bring the Christmas spirit into every room in the house, and even outside the house too. One of our favorite things to use is fresh greenery that screams “the holidays are here!” There are so many fresh Christmas greenery choices out there including magnolia, pine, boxwood, and cypress. We’ve gathered together plenty of ideas on how to use these fresh pieces and more in each room of your house. Let's decorate, y'all! Do you have large windows, use garland as window treatments. Scatter votives of different sizes throughout fresh greenery on the table for a simple centerpiece that doesn’t have to be watered. The moment of truth: The Christmas tree is set up and decorated. Will your kitty notice? For many cat owners, the answer is a fear-inducing yes. Felines are notorious for attacking Christmas trees the second after they are decked to perfection. It takes some cats just seconds to turn a perfect tree into a mangled shrub full of broken ornaments. Other cats prefer to bat off fragile decorations or climb into the heart of the tree and make a home among the branches. After last year’s upside-down Christmas tree trend, going with just the top half of the tree doesn’t seem too wild. Using a square wreath made of bay leaves and hung from one corner so that it appears as a diamond. It’s a contrast to the classic circle wreath and sets the tone for modern, non-traditional decor.